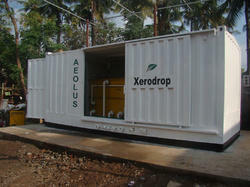 XERODROP is a product with almost zero or negligible supervision to effectively treat highly recalcitrant effluents. Product has given amazing results with challenging waste waters of distillery spent wash (combined TOD values up to 2, 20, 000 ppm), tannery and paper mill effluents. Current Topics in Electrochemistry is an international journal dedicated to the publication of full-length review articles, mini-reviews, original articles and short communications in the area of pure and applied electrochemistry. Prevention of fouling in the equipments due to the growth of marine organisms - will increase its efficiency, when seawater is evaporated to produce potable water through multiple flash distillations or the salt is removed from the seawater by means of reverse osmosis. Screen-printed electrodes and potentiostats from Dropsens for electrochemical research. DropSens is an Innovative Technology-Based Firm specialised in the design and manufacture of instruments for Electrochemistry Research, based in Oviedo, Spain. These are used for particle removal & analysis in fluids. Owing to these features, our filters are used in a variety of Laboratories and Institutes. Also, these are highly reliable and provides accurate results to the user. Developing innovative meters, electrodes and systems as the largest global supplier and integrator of electrochemistry products. Learn more about electrochemistry. Whatever you need to measure, be it pH, ORP, ion concentrations, conductivity or dissolved oxygen, METTLER TOLEDO with its long-term experience provides you with the support you need. 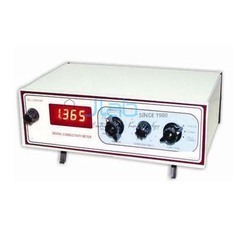 Wholesale Suppliers Of electrochemical equipment.